20.03.2018 The best ideas come from active athletes! On 30.9. and 1.10.2017 SV OG Bad Soden am Taunus e.V. 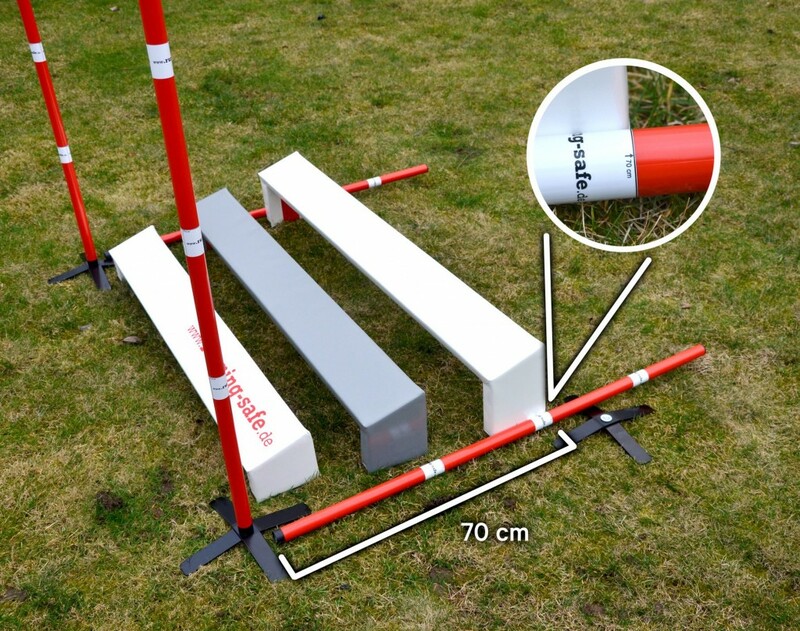 organized the Agility-SV-Championship and the Bundesliga Final of the SV, at which the RS-Long Jump Soft was announced to be in use. The day before the races, I had the opportunity to introduce my new long jump to the responsible judge, Fritz Heusmann. The device was very well received by him, even the idea that the perimeter bars can fall over without putting the foot up. Spontaneously, he came up with the idea of sticking the prescribed, high-contrast markings on the perimeter bars to the dimensions 40 and 70 cm. Thus, the conversion to Mini and Midi, with a total length of 120cm, without additional measuring devices would be very fast and easy for anyone to implement! 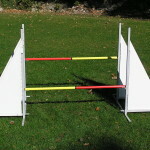 The length of the perimeter bar measures 120cm on the RS long jump when it is removed from the foot. Under the category “Innovations” in issue no. 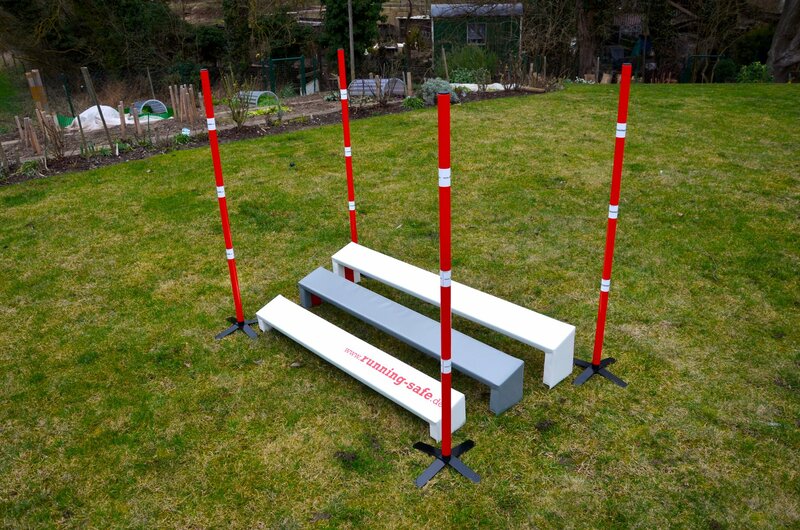 6 November / December 2017, the new RS-Long Jump Soft will be presented. 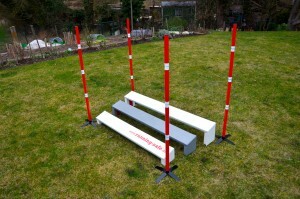 The RS Long Jump Soft was used shortly after I finalized it, at several major events. 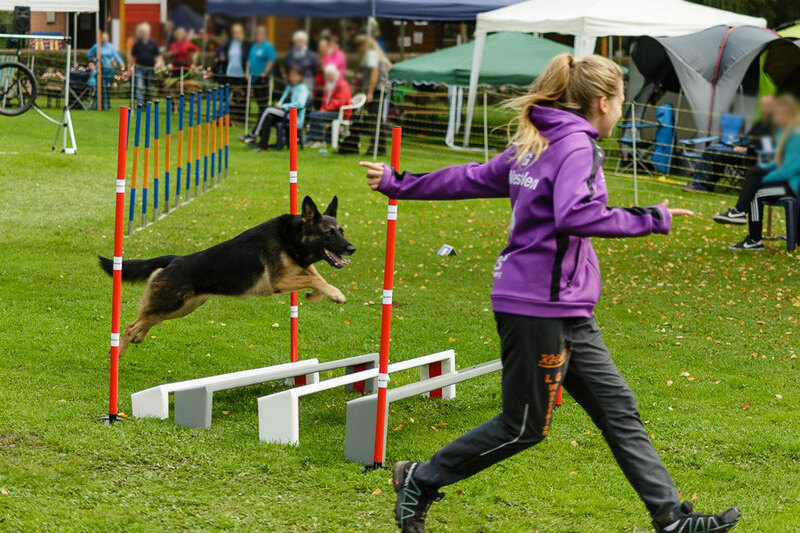 On the 9th and 10th of September in the Bundessiegerprüfung / Bundes-Jugend-Siegerprüfung Agility 2017 and 2nd open DVG Para Agility Bundessiegerprüfung in the Stadium Hohenhameln. 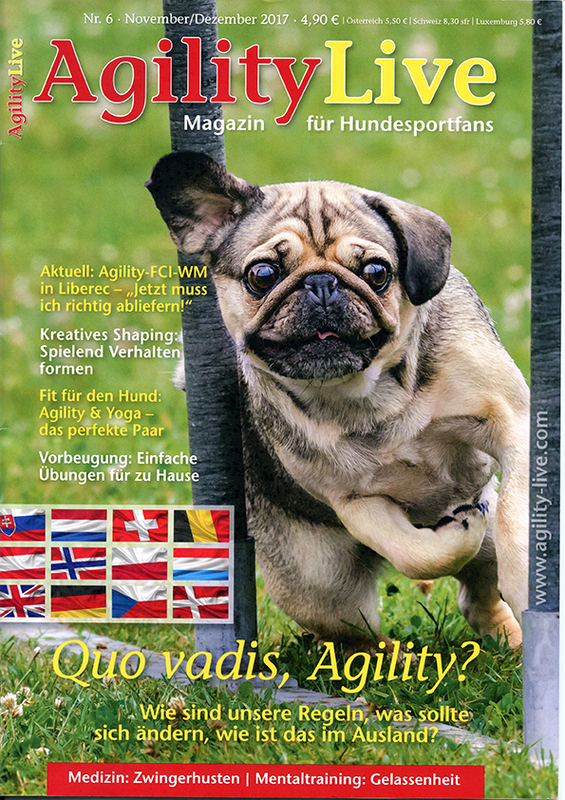 Hosts were “HSV Die Peiner Eulen” in the DVG e. V.
On 30.9. and 1.10.2017 at the Agility SV Championship and the Bundesliga Final of the SV in Bad Soden. Organizers were SV OG Bad Soden am Taunus e.V. 18.09.2017 The RS-Long Jump Soft is approved by the “TKAMO”! 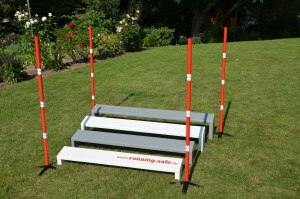 The RS-Long Jump Soft is approved by the “TKAMO”! 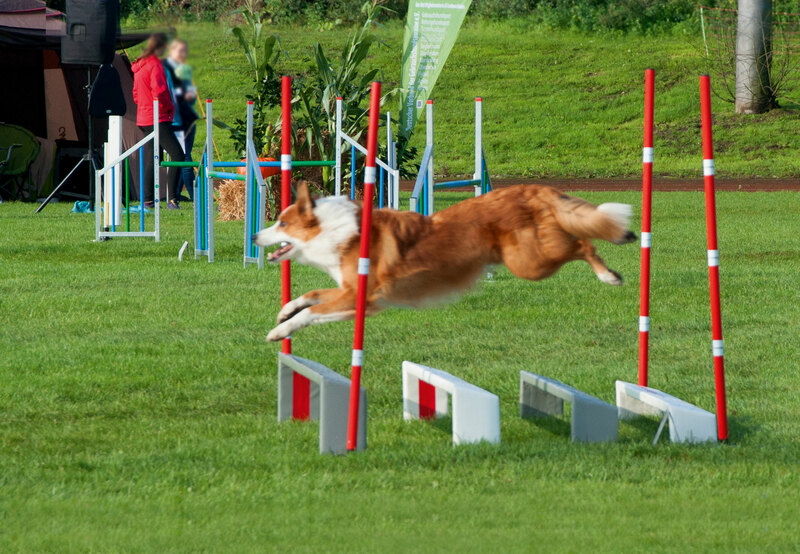 On 04.09.2017 I got the approval for the RS-Long Jump Soft from main judge for Agility in Switzerland, Peter Feer. 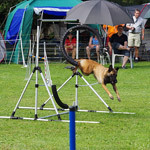 Peter Feer is a member of the “Technical Commission for Agility, Mobility and Obedience (TKAMO)” of the SKG Switzerland (www.tkamo.ch). 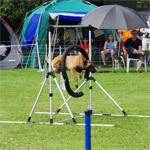 TKAMO is responsible for the homologation of Agility devices in Switzerland. So that I and above all my customers have safety, I presented the RS long jump “soft” to Jörg Thenert. Jörg Thenert is chairman for Agility in the DVG and member of the VDH – committee for Agility. 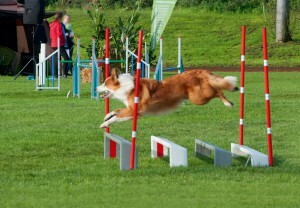 He took a close look at the long jump, checked it and found it to be very recommendable without any restrictions. In particular that the limiting rods, which are attached to a magnet on the foot, fall over when touched by the dog and the foot remains on the ground, he finds very good! 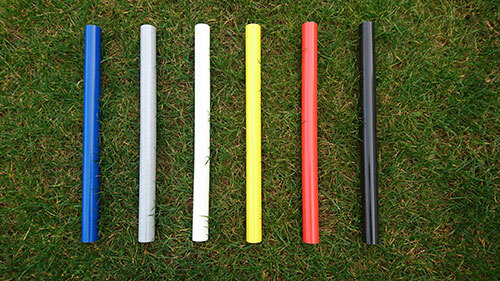 From now on we also have the glass fiber tube available in the colour “white”! This makes the individual color composition even more versatile. In the new product video we show you the functionality of the RS-slalom poles with spring pivots for a safe and sound slalom training. After this preliminary information the detailed product description and ordering information will soon follow. 19.03.2014 – New Video on the installation and functionality of the RS-Frame with our RS-Tire 3T with Lift! We uploaded a new video about the installation and functionality of the RS-Frame in combination with our RS-Tire 3T with Lift. Convince yourself of the ease of use and superb functionality of our high-end product. 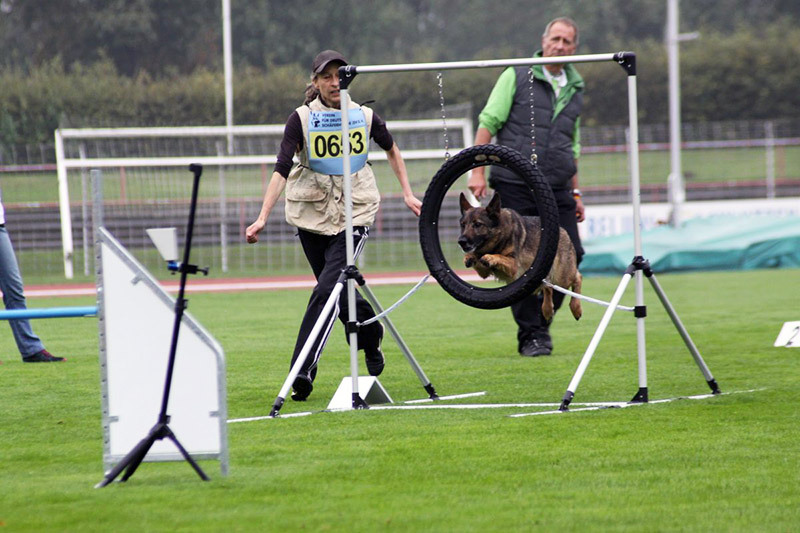 The SV Bundessiegerprüfung including competition in agility was held this year from 13th to 15th September 2013 in the Jahnstadion in Göttingen. 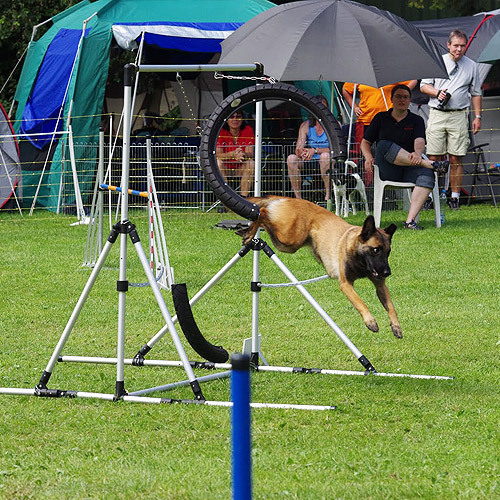 The biggest event of the SV in Germany was the gathering of the best teams of the SV in Germany from the fields of IPO and agility, who have managed to qualify for this event to determine the German SV-Champion. Also at this event the RS-Tire was used and thus convinced many critics through its high-quality security concept in terms of functionality and quality..
02.05.2013 -„Out now“ the new RS-Tire available as 3 and 4-parted break-away-tire! quite often that you forget to adjust the tire especially for large dogs. The large sized dog could possibly then,and it already happened, jump onto the top of the tire. 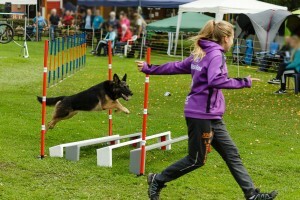 Overmotivated dogs could also jump too high and thus collide with the upper half of the tire. 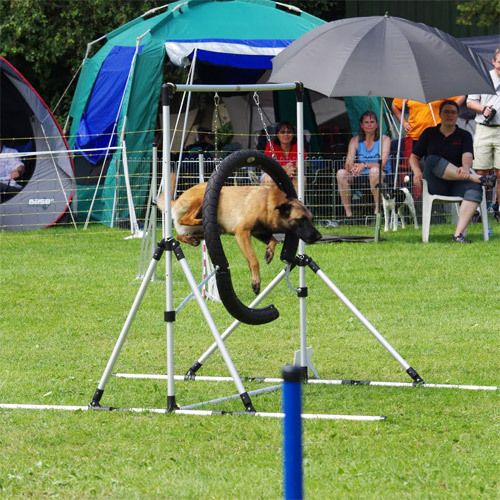 Beginner dogs, which are still in training and not yet familiar with the tire as an obstacle, could possibly due to the lack of training also jump too high and thus collide with the upper half of the tire. maintains its shape and does not fall apart. We were finally able to come up with a solution and developed functional systems, which meet the above mentioned requirements. 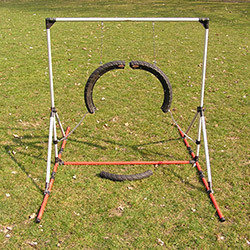 The RS-Hurdle Bar is divided along its length from 1210mm at the center and is held there with a magnet and a corresponding disc. Together, the magnet and the disc form a predetermined breaking point, which releases at the appropriate pressure. This prevents the unfavourable impact to the dog and breaking of the bar in case the dog impacts the bar in an unfortunate way. 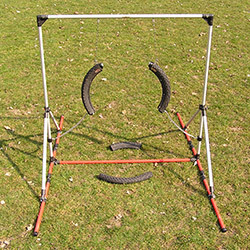 The managers of the German Classics are so convinced of our “Running Safe Concept” and the revolutionary safety tires that they have purchased one for using it for their tournament on 29th and 30th October 2011. 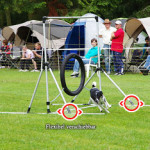 At this tournament the best German athletes will compete against each other to find a new champion. Convince yourself of the unique functionality in the athletic run and come to our stand at the German Classics to receive more information and personal advice from us. TIP: If ordered well in advance, you will save handling and shipping fees! We look forward to seeing you and hope you will enjoy the tournament. The RS frame now has an extended functionality for mini and midi dogs. At the MAC 2011 the RS-Tire and our respective frame have impressively demonstrated and proven its high-quality safety concept. 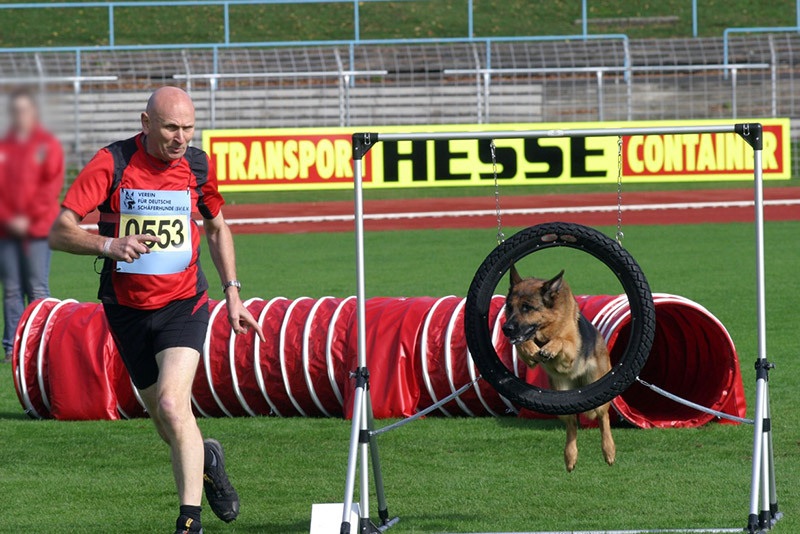 The dog finished the obstacle course after a spectacular collision with the tire unharmed without any injury. 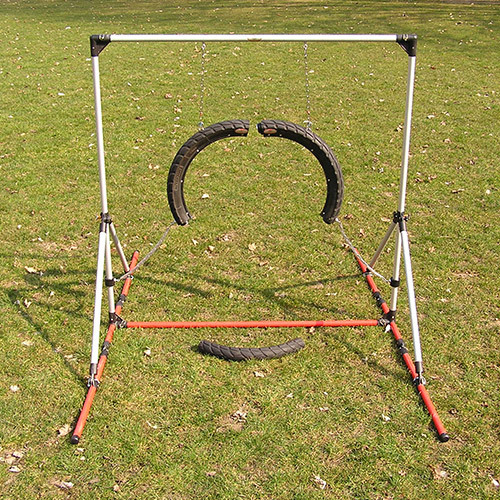 For all of those who want to convince themselves personally over the functionality and quality of the RS-Tire: The RS-Tire will be exhibited/shown and used in the parcours at the German Qualify Run for the Masters Agility Cup 2011 (MAC) (25./26. June 2011) at SV OG Bad-Soden. From now on all of those who want to convince themselves over the functionality and quality of our equipment can do this now “live”. Here you will find the dates and places where you can find our distribution partners with our RS devices in place. 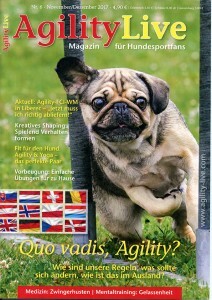 Saturday, 07th May 2011: At the World Cup Qualifying Runs in Biebesheim I had a meeting – after prior consultation – with the chairman of the DHV (German Dog Sport Association),Thomas Rohrweber. 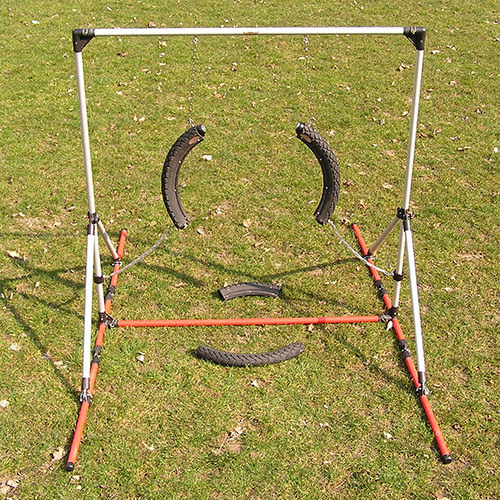 After I have introduced my innovative devices to him Thomas looked at everything in detail and checked the quality and functionality personally with the result of giving me the official “OK” without any complaint (or restriction) for releasing the RS-Tire, RS-Tire Lift and the RS-Frame! Thus, the devices are now officially allowed to be used for Agility and we are now seeking the international recognition by the FCI. More information will follow! 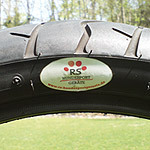 The RS-Tire is registered under number 40 2010 006 138.1 at the German Patent Office in Munich. Excellent quality can be seen at a first glance at tire and frame. All original RS products are marked with the RS-quality seal in silver. Until 30th April 2011 we facilitate your buying decision very easy. Besides the familiar and distinctive advantages of our Running Safe devices, we offer you our product innovation for an introductory price. Save over 10%!